2 Reiki Masters arrive in Nagpur! I am traveling to Nagpur tonight along with Reiki Grand Master Mrs Anjani. Our intention is to spread Reiki in Nagpur with 2 courses on 6th December. The first course is the Reiki level 1 course which activates the natural healing ability in the student. And second course is the Reiki level 2 course for those who have completed their 21 day cleansing period post their Reiki 1st degree done from any Reiki Master in Nagpur. Behind this limitless Universe there is a Energy. The Japanese named this Energy - Reiki. This energy is all pervasive and you can invite more of this healing energy within you, through the healing art of Reiki. This energy created this universe and this energy has the power to transform this universe. When you learn Reiki, your Reiki Master attunes you to this energy and installs the ability for hands on healing(first degree) and distance healing(second degree). With daily Reiki practice you can heal yourself and others holistically. As a Reiki healer you can continue to attract positive healing forces in your life & bring abundance of health, wealth and happiness for your entire family. Reiki treatment is non invasive, soothing and works on all 4 levels - physical, mental, emotional and spiritual. Reiki Masters clarify that it is not a substitute to medical treatment. The best thing about Reiki healing is that it flows automatically to the places in your body where energy balance is required. It is recommended that during your first few days after learning Reiki you must give Reiki especially to your Root chakra to ground yourself, Sacral chakra to be emotionally connected and Solar Plexus chakra to enhance your responsibility and maturity. Both these Reiki courses will be in Hindi. 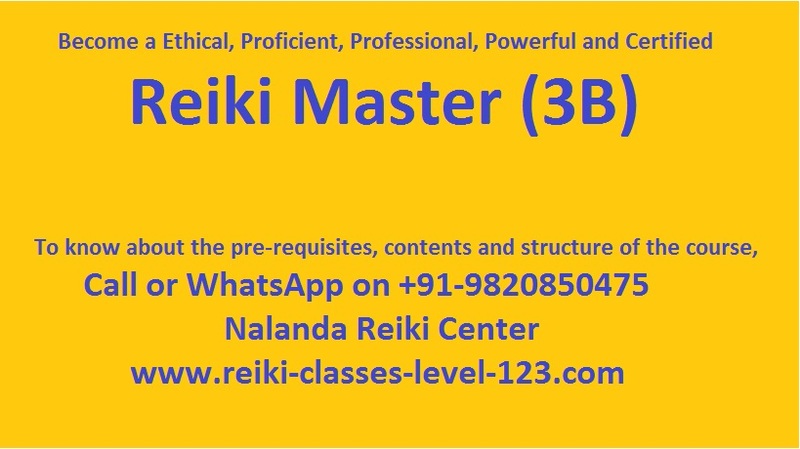 Reiki first degree will be conducted by me and Reiki second degree will be conducted by Senior Reiki Teacher, Reiki Grand Master Mrs Anjani. At the end of the course you will get your Reiki Certificate, Reiki Manual PDF & Reiki MP3 meditations. For details and registration call us on 9820850475. "Just for today, I will release worry and angry, treating everyone respectfully, earn my living honestly and expressing gratitude for all my blessings." Sachin is a Reiki Grand Master in Mumbai. 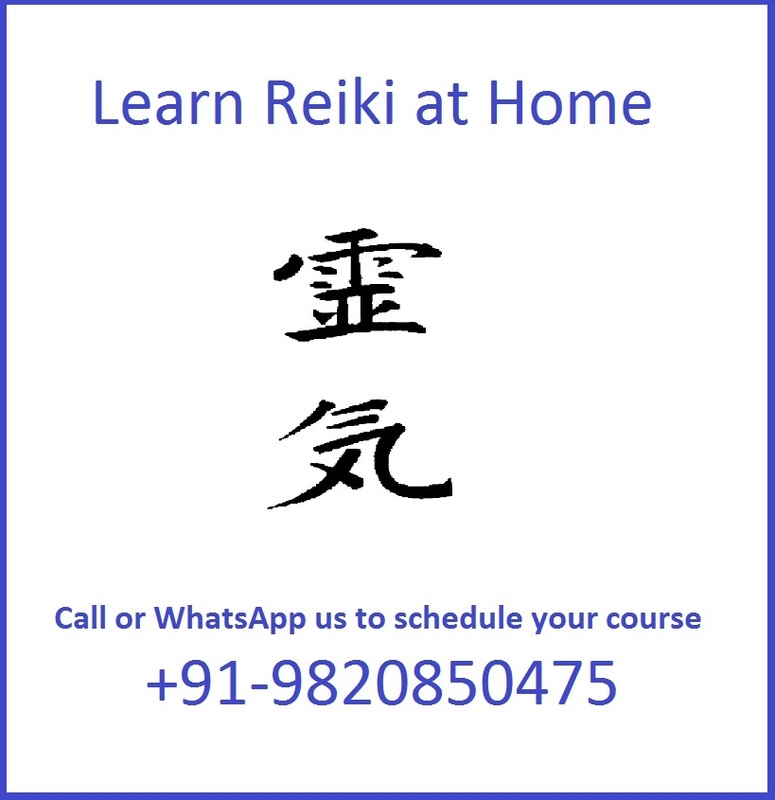 His mission is to spread Reiki through his Reiki blog, Reiki courses and Reiki Masters in Mumbai & Thane who are his students. 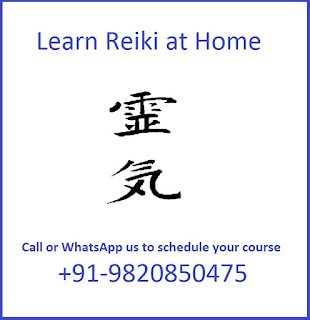 He is committed to spreading Reiki all over India to create health, wealth and happiness for everyone. 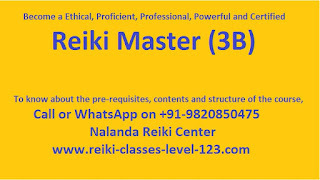 He can be contacted on +91 9820850475 for Reiki Training in Mumbai for individuals, groups or companies.